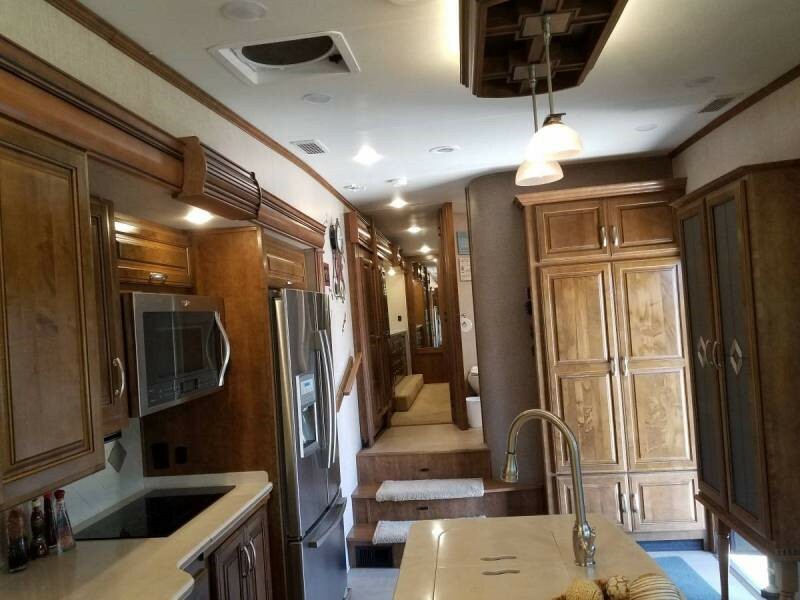 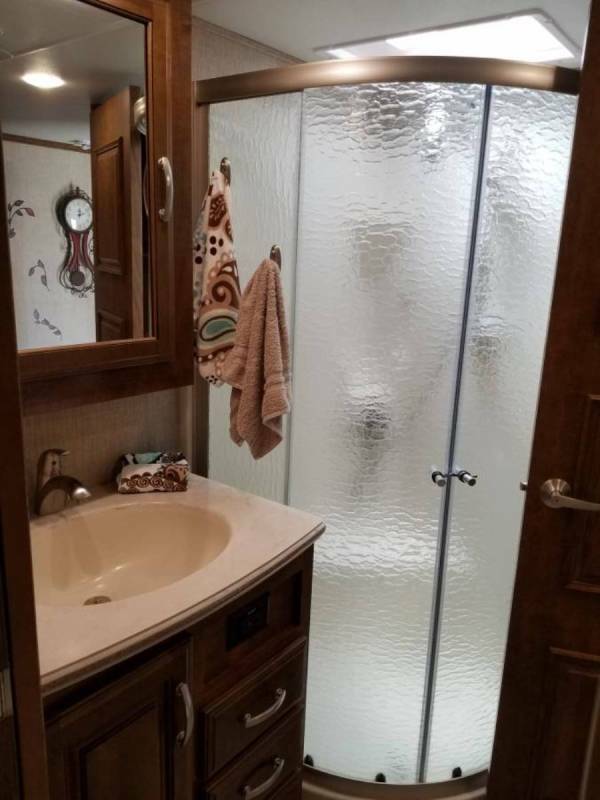 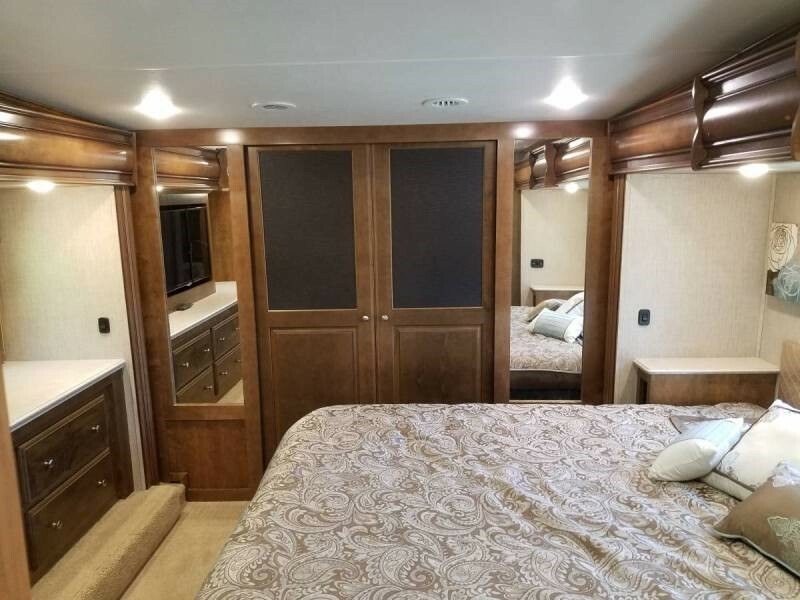 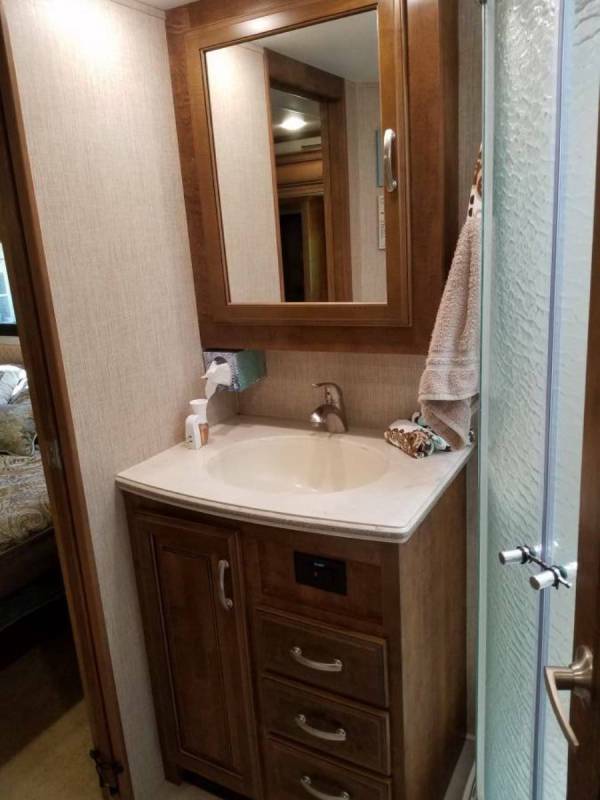 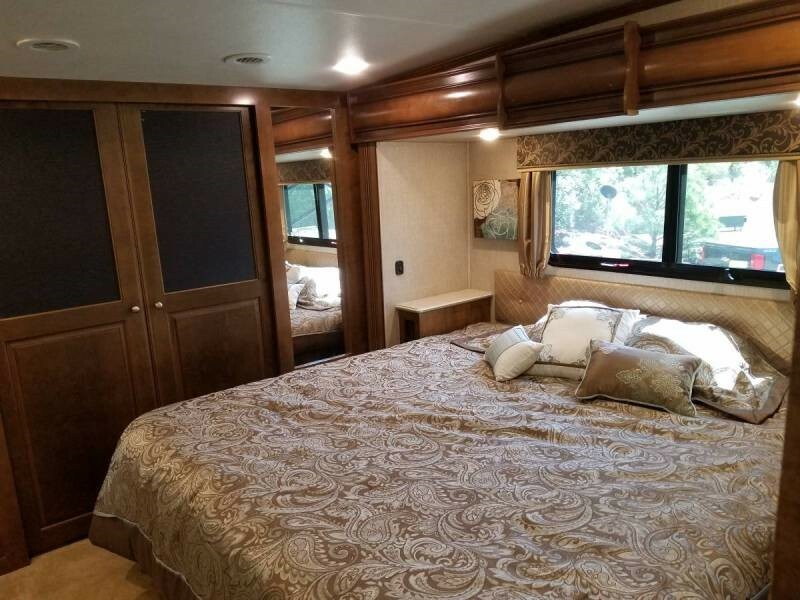 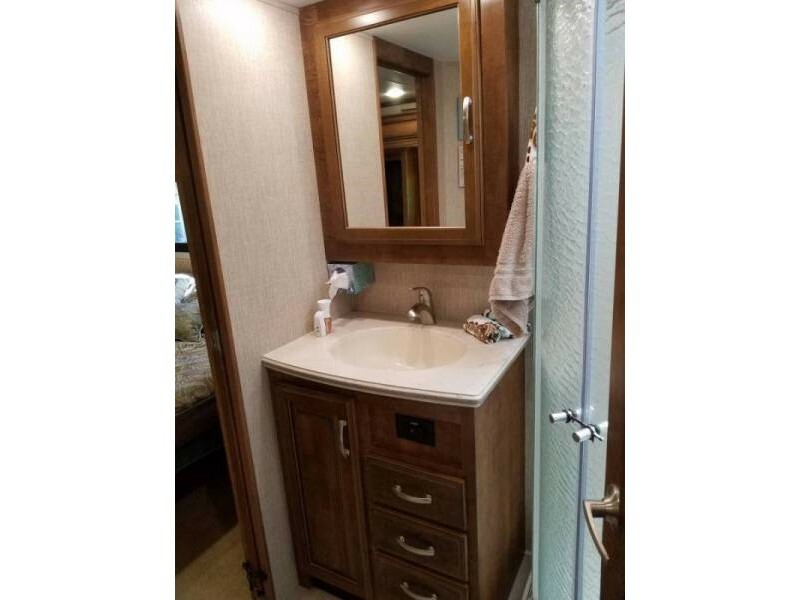 Beautiful 2015 40 foot luxury 5th wheel. 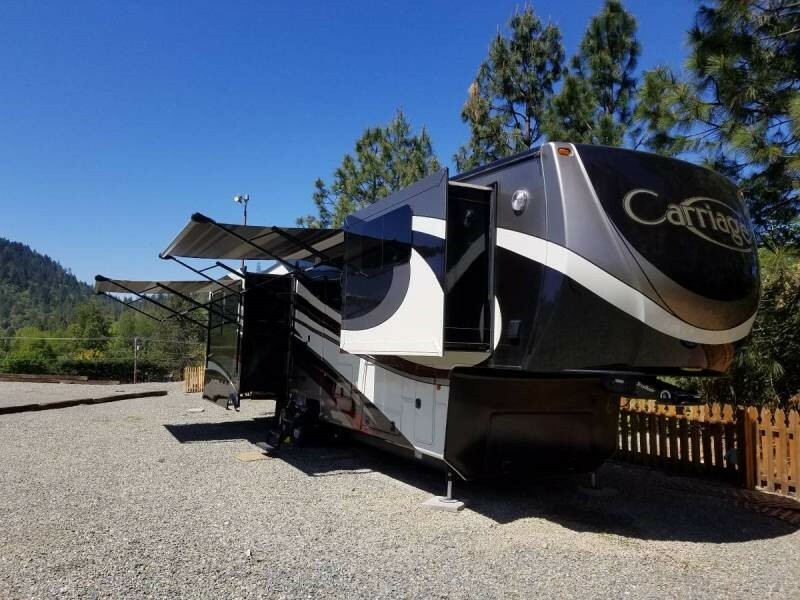 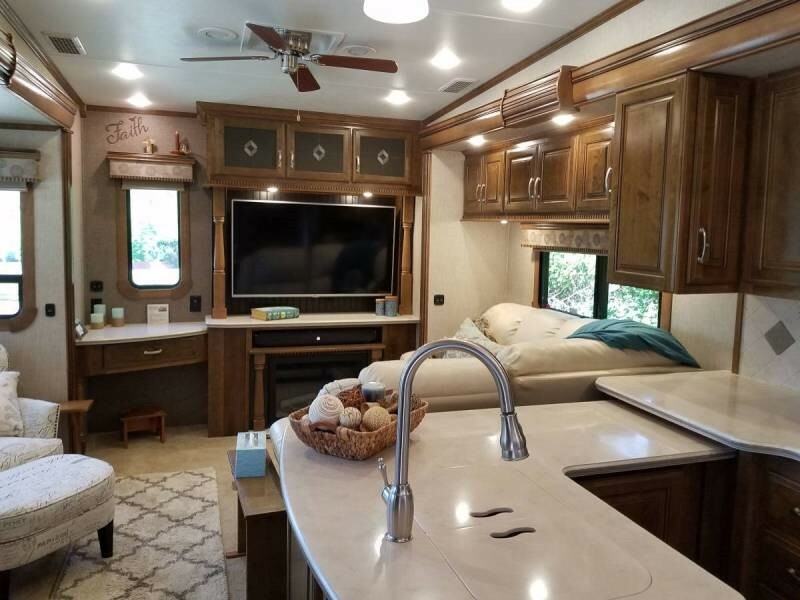 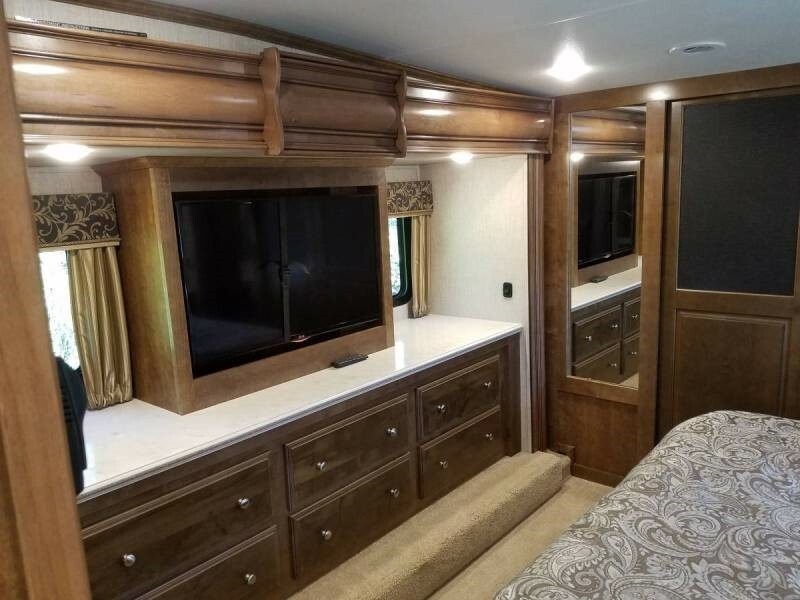 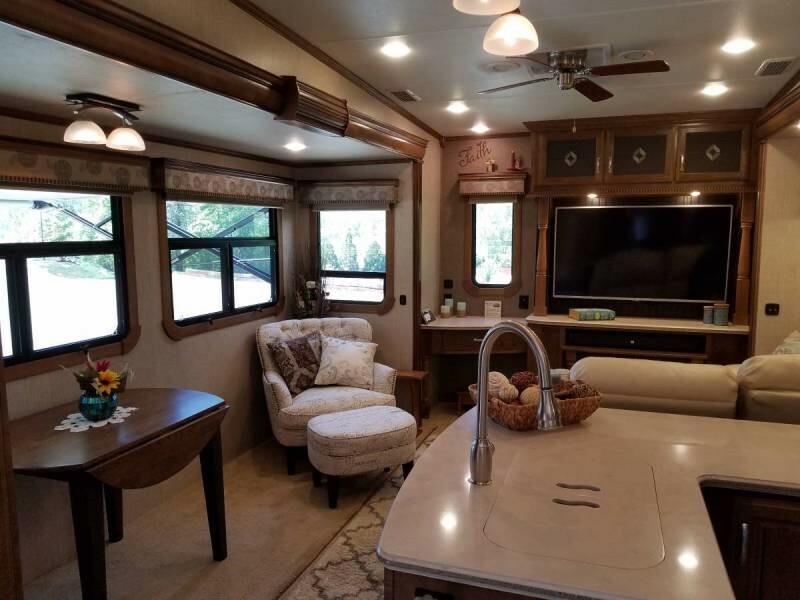 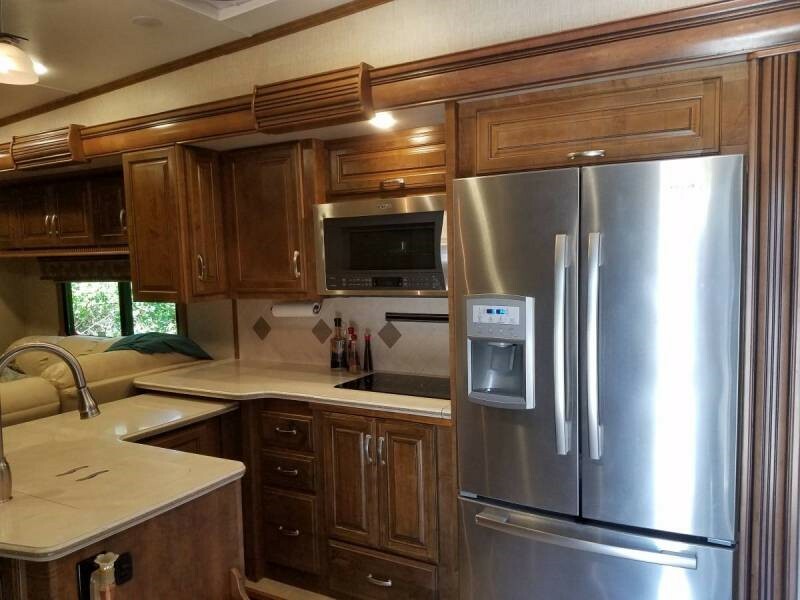 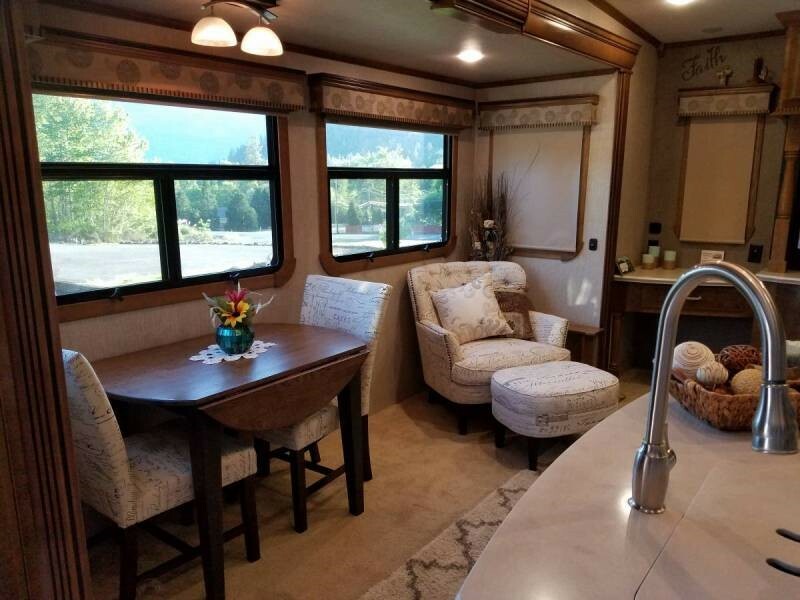 Full body paint, two power awnings, 6 point auto leveling system, full size residential refrigerator, induction cook top, convection microwave, custom cabinetry, 55" T.V. 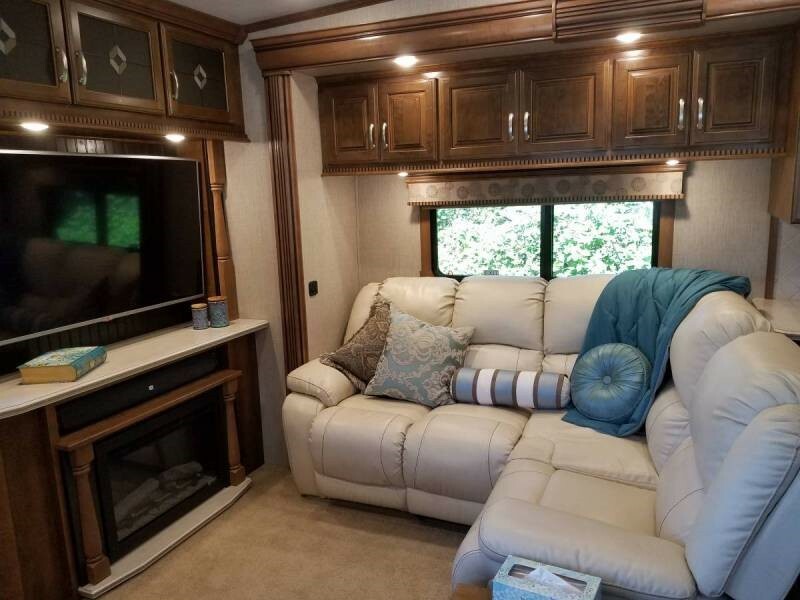 in living room with surround sound, easy rise shades throughout, insulated windows, fireplace, ceiling fan, large bathroom, king size bed, 40" T.V. 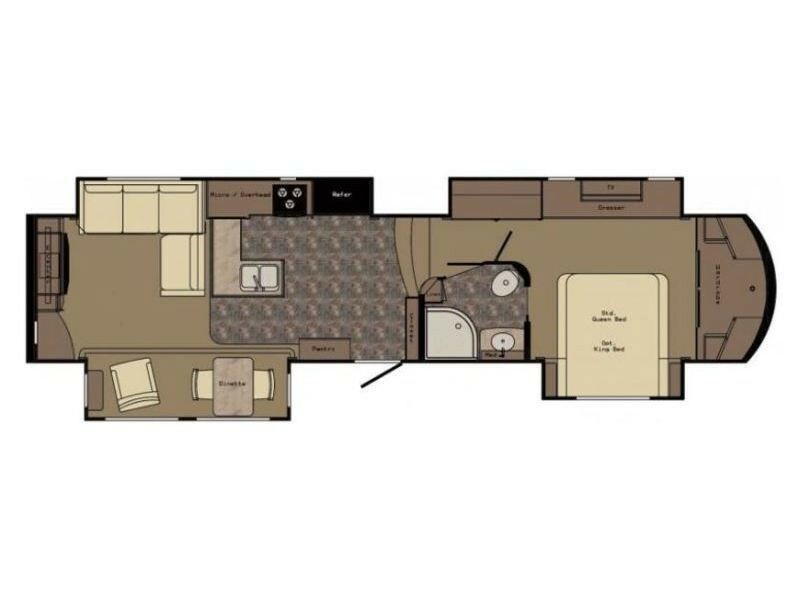 in bedroom, washer and dryer. 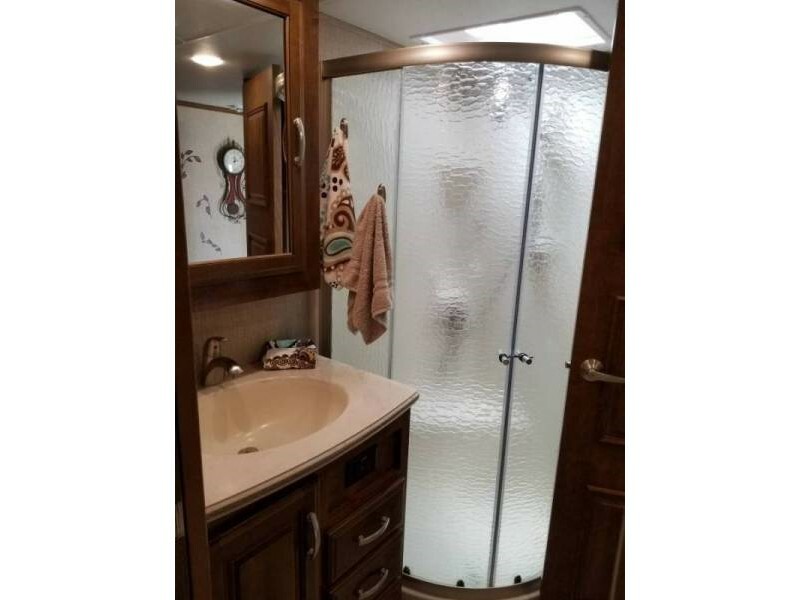 The average retail for this unit is 62,175, my loss your gain 59995. 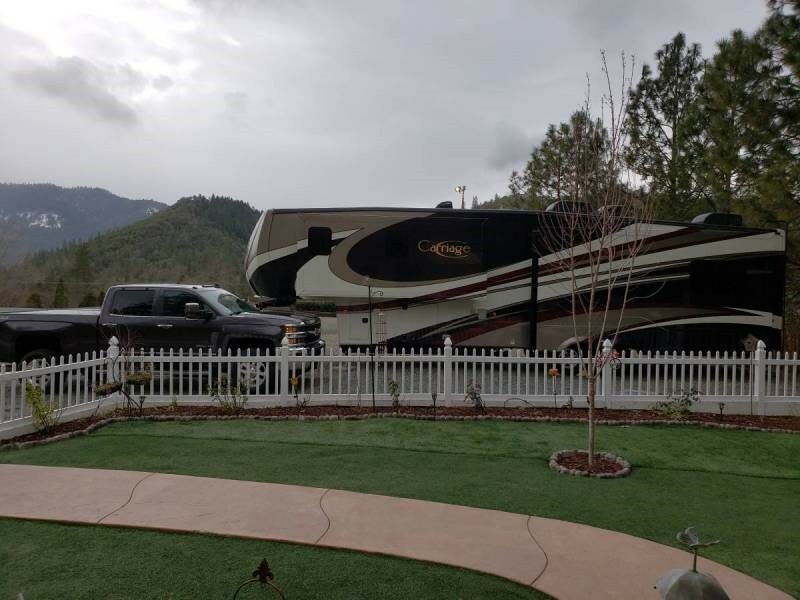 I also have a 2015 Silverado 3500HD LTZ Z71 only 46k miles. 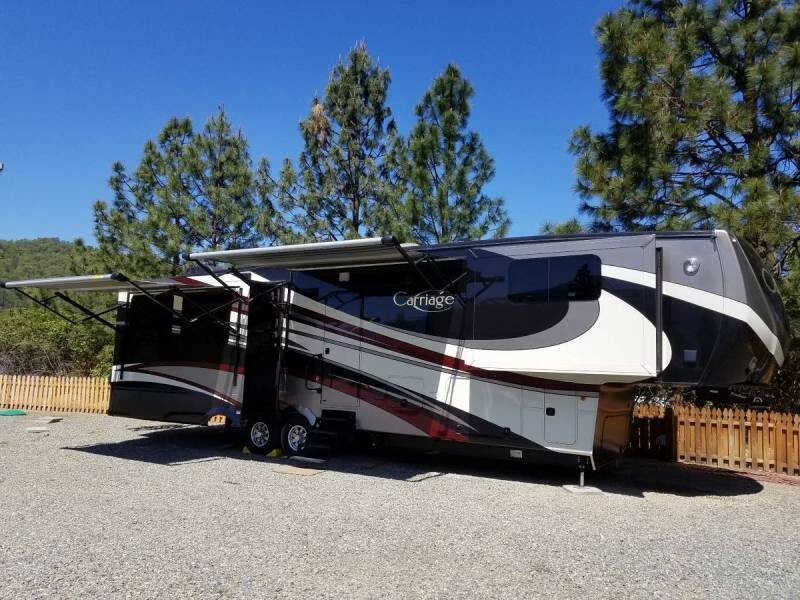 Will not sell truck until 5th wheel sells or will sell as package.